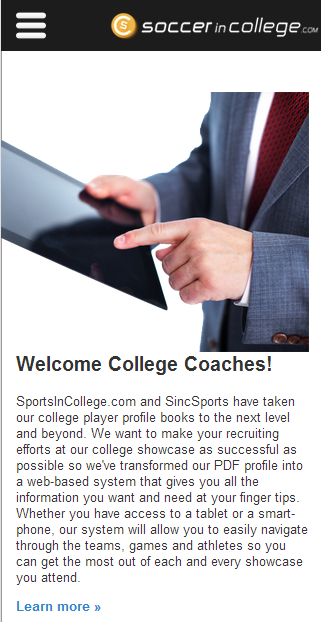 Our college coach guidebooks have always been an invaluable resource to college coaches to assist in their recruiting efforts. The problem with a book like this is that a large showcase event can have hundreds of teams and therefore, thousands of players. This means a profile book with over 500 pages and A LOT of information! The information in this book is extremely important, but flipping through these pages can be a daunting and time consuming task. We’d much rather have college coaches spending their time watching, evaluating and recruiting those athletes! 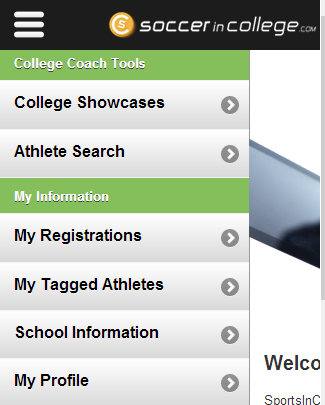 With this in mind, we created the online version of the college coach guidebook which gives all the information of the player profile book organized in a way that will allow coaches to quickly and easily find the information they need, tag the players they want to watch, and rate and make comments on those players all from their smart phone or tablet! Having access to a tablet will make finding the information you want and using the tools an absolute delight, but we know that everyone doesn’t have access to a tablet so we’ve designed the site to work from your smart phone as well. On the tablet, you’ll have a lot more “real estate” and will see your menu on the left hand side to quickly navigate through the features. On a smart phone, we collapse the menu down so you can use every pixel available to your screen! Click the menu button to slide out the menu and navigate around. 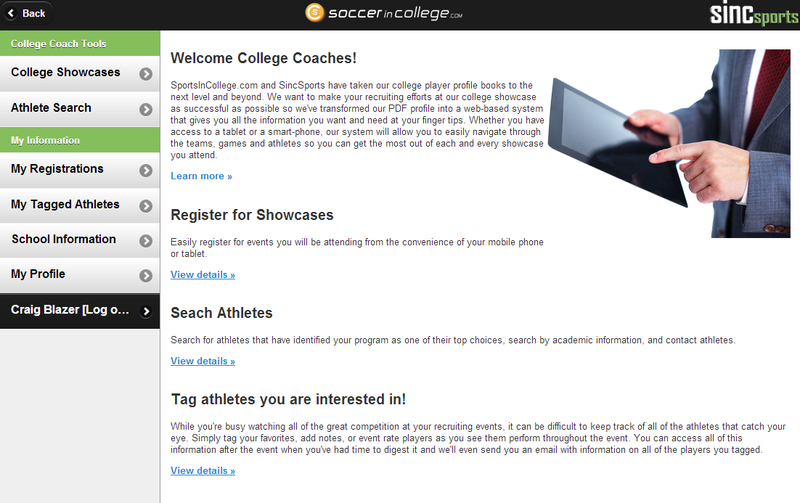 SportsInCollege.com and all of its features are built in and available to events using the SincSports.com system to manage and run their events. While we offer services to athletes to assist them with the recruiting process, everything in this system is built for and confidential to the college coaches that use the system. We will not share any information including: which athletes you tagged, athlete ratings, or your comments on athletes.